Where R&D excellency meets massive production: our unique physical graphite-exfoliation technology for the production of graphene nanoplatelets led us manufacturing high-quality environmentally-friendly graphene with no generation of sub-products and wastes. Our efforts in R&D, high-technology and sustainability sectors have been recently recognized with the granting of a SME Instrument (HORIZON 2020 – The European Union Framework Programme for Research and Innovation). Yesterday is history, tomorrow is a mystery, but today is a gift. That is why it is called the present. Our present is full of real projects. Come and discover the magic world of resins, inks, polymers. We make your dream our challenge. We believe that almost nothing is impossible. Tell us what is your graphene dream, what kind of application you are yearning for and whether it is possible or not we will fairy tale for you. China, Berlin, Spain, Japan, Cambridge…There is no stop for us. Wherever there is an appealing event, Graphene Tech takes part in. Grapehene nanoplatelets powder is produced using a proprietary “top down” green process based on mechanical exfoliation, without the use of any chemical or solvent. New advanced materials can be developed with enhanced mechanical, thermal and electrical properties with 1% of grapphene addition. Graphene addition to paints and coatings gives the chance to create new products with thermal and electrical conductivity, anticorrosion properties or hydrophobic surfaces. Graphene thanks its high energy density make its storage capacity and rate of charging/discharging suitable for batteries and electrical supercapacitors. 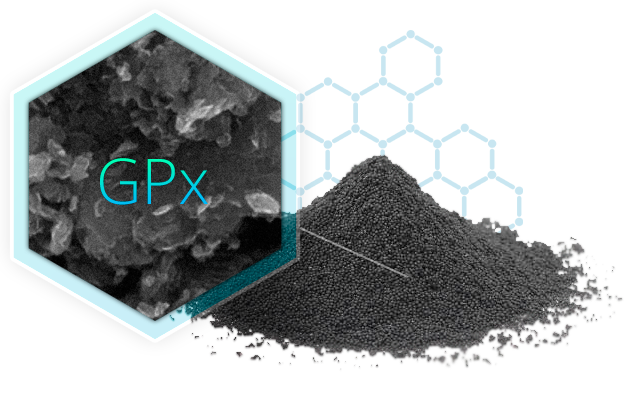 Graphene Tech is offering us a graphene powder product with high mechanical properties, high thermal and electrical conductivity and easy dispersion.